Disabled Grappler Site is Live! 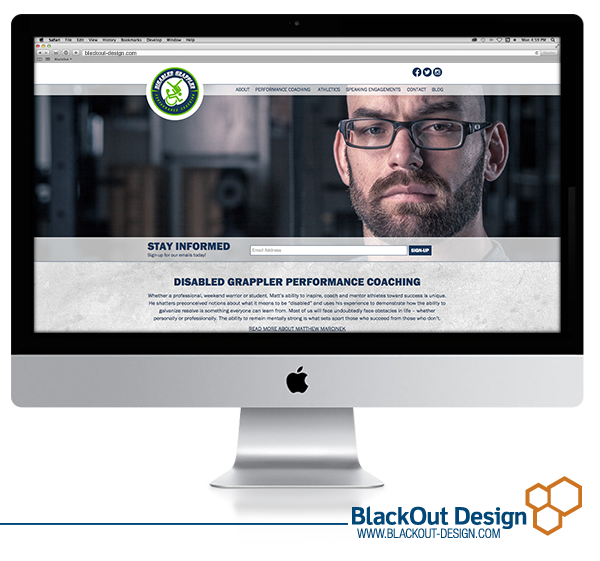 BlackOut Design recently teamed up with the Disabled Grappler to redesign his website! Owner, Matt Marcinek, wanted the site to feature his blog and story, along with information on performance coaching, and his speaking engagements.Our designer, Phil, approached the design of this site around the photography and feel of the gym Matt utilizes for his training. Colors were pulled from the logo to enhance and brighten the feel of the overall site. In addition, our team linked his social media accounts to his website and integrated wordpress so that Matt can easily add blogs and make changes to the copy on his site.